Got Nail Fungus? We Have a Cure! A cure! That’s what people with nail fungus would like to hear from their doctor. They would also like to have their insurance pay for the treatment. The reality, however, is far from being that simple. At least 3 million Florida residents suffer from a fungal infection in their toenails or fingernails. Many have both. Some have battled fungus for decades. Dr. Mark Leitner and Dr. Brandi Johnson are the first podiatrists in Tampa Bay area to offer Nail’n’Toe laser treatment of toenail fungus. Most people think fungal nails are simply a cosmetic nuisance. That might be true for a few months, and in a mild case. If left untreated, or undertreated, fungal spores can survive indefinitely in the nail bed (the skin under the nail plate) and matrix (where the nail grows out of). The nail and thick skin work as a shield for nasty microorganisms like Digger the Dermatophyte, the star of Lamisil commercials. Fungus in the nails, aka Onychomycosis, is a medical concern. Mycotic nails eventually start lifting and separating from the nail bed (onycholysis). 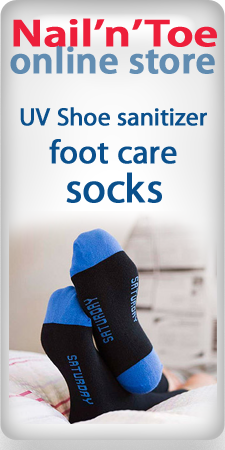 At this stage onychomycosis will cause pain or discomfort. Smell foul odor? You’ve gone too far! The quality of life is now impaired. 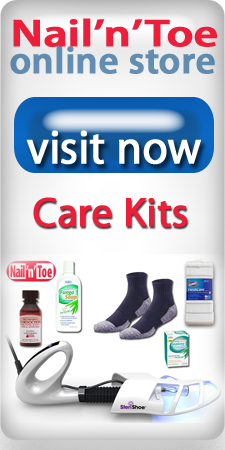 Little is known about the link between onychomycosis and cancer of the nail bed. Early detection is critical, and if you have had “ugly nails” for more than a few months, you should consult with a doctor to rule out subungual squamous cell carcinoma or melanoma. Until recently, conventional medicine couldn’t offer a cure for the unsightly and embarrassing disease, which turns healthy nails into thick, brittle and discolored claws. OTC medications provide less than 5% cure rate. Terbinafine pills (Lamisil) are more effective, but relapse is very common, and many patients simply cannot take it. Sometimes doctors resort to a surgical removal of nails. Pain, trauma, downtime… – and it does NOT kill the fungus! Permanent removal is preferred for severely damaged and dystrophic nails. Advances in medical laser technologies have changed the balance of power on the battle field. In the last three years, about 240 doctors in the U.S. started using lasers to eradicate nail fungus. Reported success rates are 75-90%. Nail’n’Toe is the most advanced and comprehensive therapy available to dermatologists and foot doctors today. This treatment protocol combines all modalities proven to be effective on fungus. Nail’n’Toe providers offer a custom plan for every patient, which typically includes a minimum of 2 in-office treatment sessions, care kits with a UV shoe sanitizer and personal hygiene items, prescription topical solution, oral medication (for those who can take it), household decontamination instructions, preventive regimen and follow-up visits. Nail’n’Toe protocol was made available to a limited number of doctors in Florida and Northeast U.S. in January 2010. As of today over 1,800 patients have been treated with reported cure rates exceeding 90%. 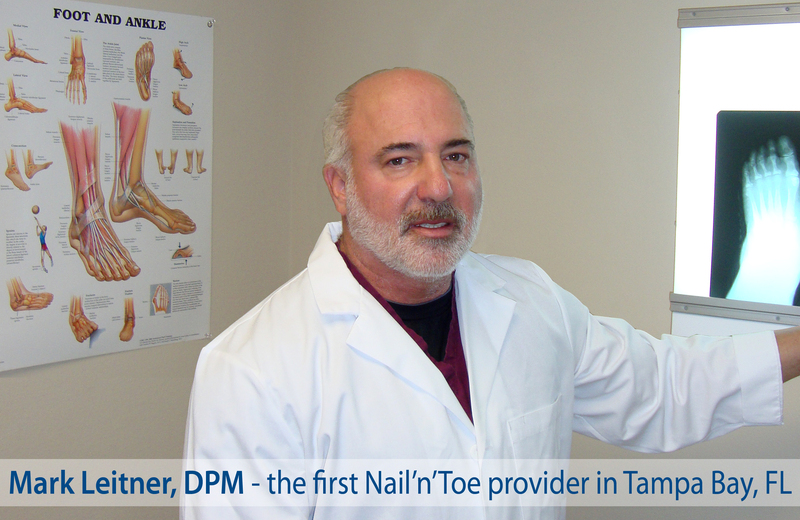 Advanced Foot & Ankle Specialists in Brandon (Mark Leitner, DPM and Brandi Johnson, DPM) were the first podiatrists certified to provide Nail’n’Toe in Tampa Bay area. They have treated toenail fungus patients from Brandon, Tampa, as well as New Tampa, Plant City, Lakeland, Bradenton, and St. Petersburg. More doctors and locations are now available to service patients. Nail’n’Toe can help you win your battle and stay fungus free, but it’s not covered by health insurance plans. Interest-free financing and payment plans are available. For more information visit www.NailandToe.com or call 877-ZAP-FUNGUS (877-927-3864) to schedule your evaluation.